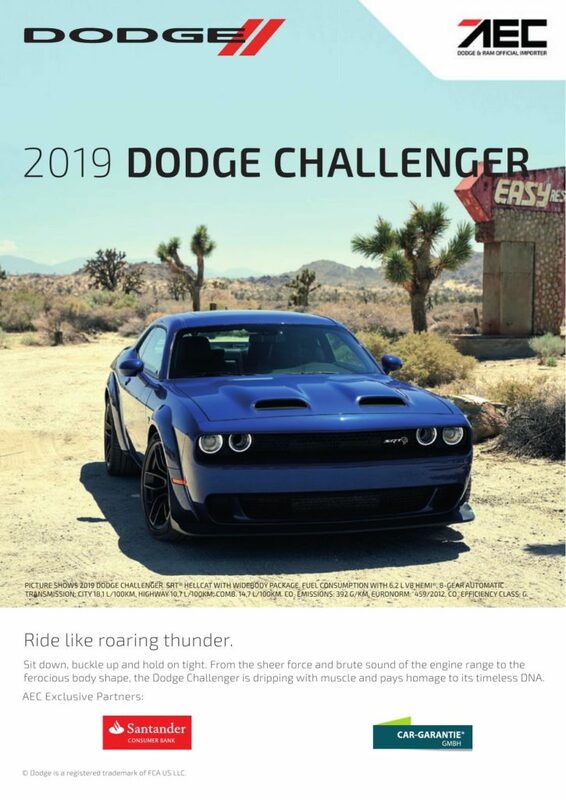 If you are looking for a Dodge or RAM in Europe, then don’t miss out on the exclusive services offered by the AEC dealer network. Our dealers are trusted and reliable partners dedicated to offering the highest customer service. Because your satisfaction is what our work is all about. 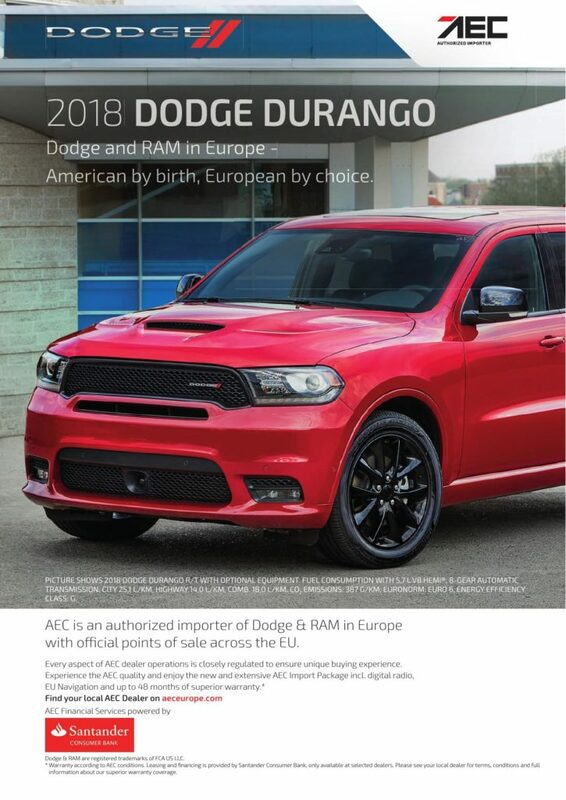 As an authorized importer for Dodge & RAM, we at AEC are the best source for your Dodge & RAM vehicle needs. Our vehicles are ordered directly from the manufacturer, configured to your specifications, and delivered directly to the European Union. We guarantee that our vehicles meet the exacting specifications of the European law. 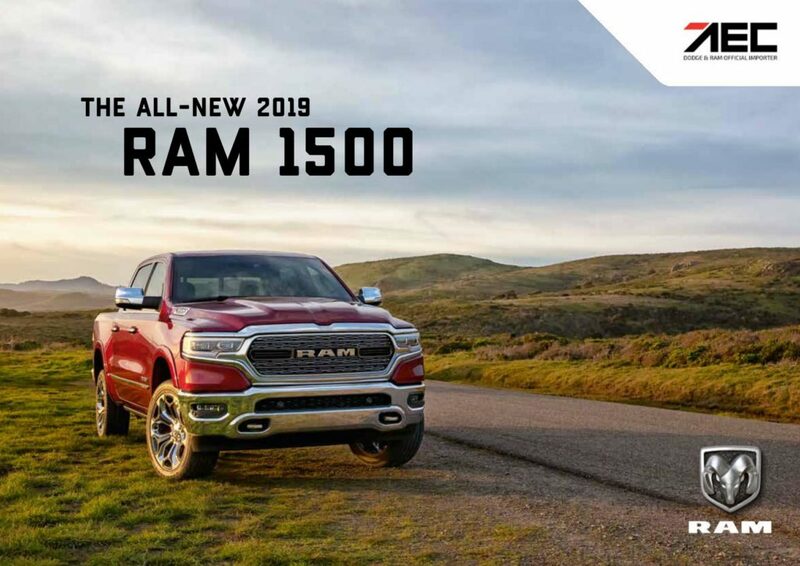 When you are looking for a Dodge or RAM vehicle, AEC and the AEC dealer network is the place to go. 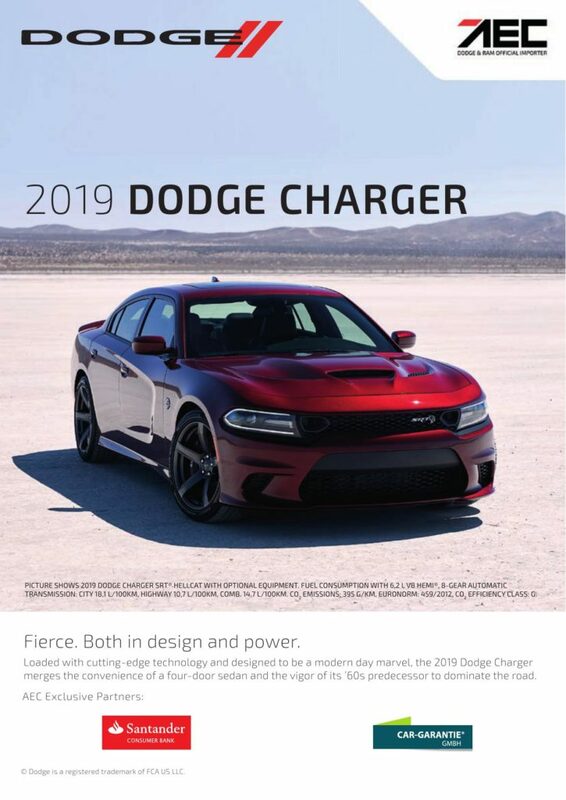 Important note for buyers: Beware that certain vehicles that are available in the United States of America, Mexico and Canada do not meet European emission standards or other regulations and cannot be modified. Therefore many of these vehicles cannot be registered in Europe. When buying a vehicle imported by AEC, you can rest assured that it has been done correctly. 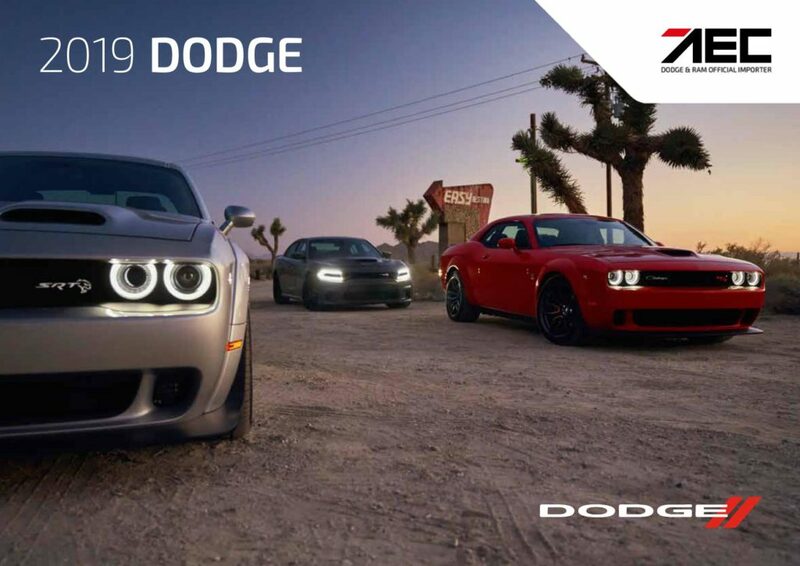 AEC offers a wide range of industry leading warranty schemes for all Dodge & RAM vehicles. AEC Basic is an insurance product that provides full cover for defects in the most important vehicle components (engine, transmission and differential) up to 100,000 km under the general insurance terms and conditions. AEC Premium is an insurance product based on the conditions in the factory warranty that provides full coverage for defects in all mechanical and electronic vehicle components up to 100,000 km under general insurance terms and conditions. 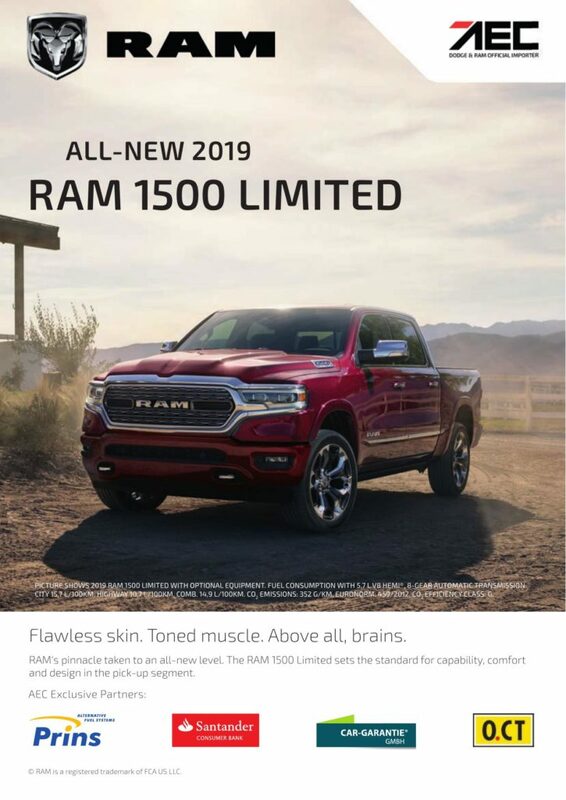 Terms – terms of 24/ 36 / 48 months are available for your AEC Dodge & RAM vehicles. For further details contact your nearest AEC dealer. As a European customer, you can rely on an extensive range of financial services via your AEC dealer. Our cooperation partner, the Santander Consumer Bank, provides all financial services for you. The Santander Consumer Bank is one of the biggest industry service providers for financial services and has many years of experience in the automotive sector as well as an excellent reputation. AEC vehicles are prepared to manufacturer quality to meet all standards of the E.U. We can assist our customers with the technical conversion, documentation and certification of their vehicles throughout the entire European Union. Customers can be rest assured that our extensive experience and that of our AEC dealerships ensure that your vehicle meets the registration requirements of your country. AEC is an official importer of MOPAR Parts and Accessories for the EU. This means our dealers have access to a complete lineup of service parts and accessories that will make your experience uniquely personal.